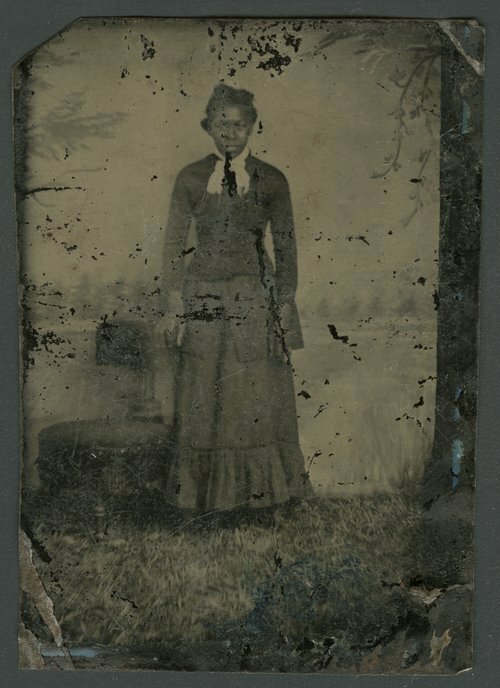 A tintype showing Armilda C. Benning Williams who lived near Auburn, Shawnee County, Kansas. She appears in the 1870 census, age 22, born 1848, and she was born in Missouri. Between 1875 and 1880 Allen Williams married Armilda C. Benning. According to the national and state censuses, Allen and Armilda lived most of their lives in Auburn, Kansas.